He aired the broadcast from a hotel room in Singapore where the act held the “Love Yourself” concert in front of some 55,000 fans at the National Stadium. Heavy traffic caused the server to lag, but people still managed to watch it over 5.6 million times as of 1 p.m., about 12 hours after it aired. The video garnered more than 225million (and counting) likes. 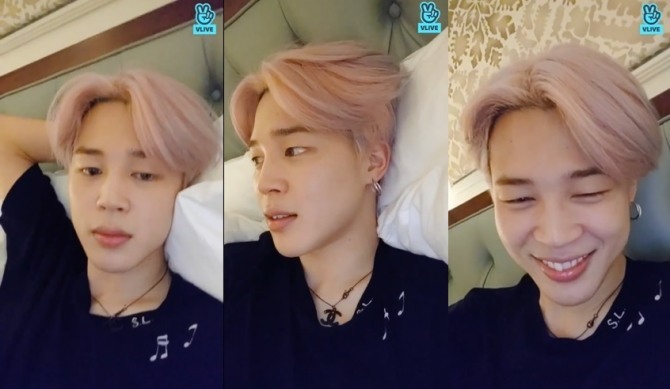 Here’s what Jimin said during the 47-minute live broadcast. 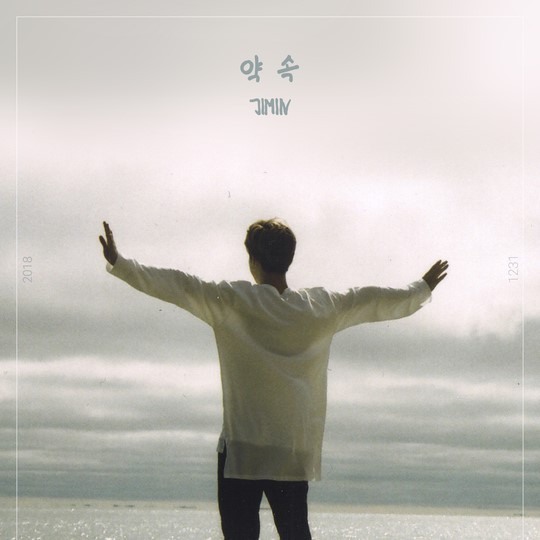 “Promise“ was originally a dark song, meant to reprimand himself when he was going through inner struggles, Jimin revealed. “At first, it wasn’t meant to be a comforting song as it is now. Rather it was supposed to reprimand myself with lyrics like ‘What’s gotten into you’ and more harsh words,” he said. So what was troubling him so much? “It’s my personality. I am often indecisive and am not true to myself. I hated that. I was so sick of myself not being able to say what I truly felt and thought,” he said. Things were tough surrounding the band at that time and other members probably had a tough time too, he continued. But as time went by, things got better both internally and externally. Jimin began to let go those feelings about himself while spending time with friends and talking to bandmates and the situation surrounding BTS also improved. A turning point came in the middle of a concert. While performing at the Citi Field, New York, he said he made a “promise” to himself. During the concert held on Oct. 6, Jimin was spotted shedding tears on stage near the end of the show. From that point on, the singer said the songwriting process picked up speed. “Promise” was released on Dec. 30. In total, it took him almost seven months to complete the song. “Maybe I am not so talented at this after all. Taking so long to finish just one,” he said with a shy smile. He went on to express genuine respect for bandmates RM, J-Hope and Suga who after “just 2-3 months” in recording studios came up with a mixtape album with several tracks. The melody was purely his own creation, the singer added, although he did get help from RM in writing lyrics. The part “You made me hurt. You don’t even know that” (literal translations) were originally “I made myself hurt. I don’t even know that,” but RM changed them, he revealed. The English lyrics in the refrain, “I want you to be your light. You could be your night,” was a work of RM, Jimin continued. Jimin said he was so touched when RM explained his thinkings behind the lyrics and wrote it down to remember, which he shared with fans. Watch the full broadcast at https://www.vlive.tv/video/109729.